Donald Trump Jr. / Natalia Veselnitskaya / Sergei Magnitsky / The U.S. Magnitsky Act / What’s all this about? Unless you’ve been on vacation at the North Pole, you’ve been bombarded daily with news and opinions about Donald Trump Jr. (The President’s son) having a meeting (weeks before the Presidential Election) with a Russian Attorney (possible operative) representing (allegedly) the Russian Government and indirectly Vladimir Putin. Anyway, Natalia had nothing on Hillary other than what she might have read in the National Inquirer. Nonetheless, Natalia did have a pitch to make to Junior; and it concerned the Magnitsky Act. I know you’ve heard this term bantered-about recently, but most have no idea who Magnitsky is/was or what he has to do with the ‘Act’; a law passed by the U.S. Congress. Apparently, Putin hates this law, and in particular the name. After the law passed, Putin retaliated by prohibiting Americans from adopting Russian orphans – even some children already in the pipeline for adoption. The purpose of the law was in retaliation for the inhumane and barbaric treatment, and the ultimate death, of Sergei Magnitsky in a Russian prison. Sergei Magnitsky was a Russian attorney and auditor who reportedly uncovered ‘State’ sponsored theft that benefited Vladimir Putin and some of his close associates. We are talking about hundreds of millions of dollars. Well, Putin et al took this unkindly – as you might imagine. 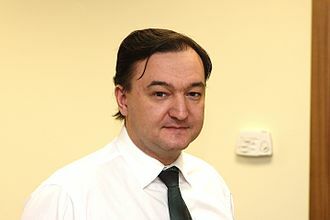 Magnitsky was imprisoned and died under the most difficult and abusive conditions imaginable. There is a longer story to all of this which was exposed in a very good book Red Notice; authored by Bill Browder. The book gives you some insight into Putin’s Russia and the Russian prison system. Not pretty – think North Korean not pretty. Vist my blog to see numerous other posts that you might find interesting. 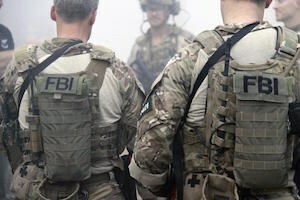 The Federal Bureau of Investigation’s Hostage Rescue Team (HRT) is the focal point, the head of the spear, for the FBI’s Critical Incident Response Group (CIRG). 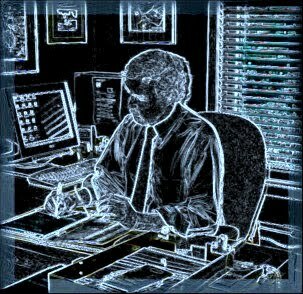 CIRG was formed after I left the Bureau and I don’t have any first-hand knowledge of its inner-workings. However, said Group incorporates many different areas of expertise: hostage negotiations, demolitions, in addition to HRT. HRT Training is extremely difficult. The process, a few years back, required potential applicants for HRT training to have at least three years as a ‘street Agent,’ involved in working cases, writing reports, and occasionally being participants in arrest situations. CIRG had difficulty getting the necessary numbers and applicant quality required for HRT. Now CIRG has changed (not lowered) the requirement to two years on the ‘street’ as an Agent – and they have begun to recruit military type individuals like Navy SEALS, Army Rangers and other Special Ops veterans. Which brings me to W. Joseph Astarita, the FBI Agent under indictment. As far as I know, his background and experience is not known – but we can assume his HRT training has been extensive. I will get right to the point. Agent Astarita might have violated some obscure element of the FBI’s ‘rules of engagement’ when he fired his weapon at the car containing Finicum and the others. But let us remember that the driver of the car (Finicum) was attempting to evade law enforcement and his vehicle was approaching; at a high speed, a roadblock – behind which law enforcement officers were standing. Question: Why were law enforcement personnel standing behind a roadblock (consisting of parked vehicles) with a suspect vehicle barreling toward them at a high rate of speed? Why not stand off to the side? Or behind a tree? The video showed one Agent jumping from behind the road block as Finicum’s car appeared to be on course to crash into the road block. This Agent almost made a fatal mistake in that Finicum decided to plow his automobile through the snow attempting to go around the law enforcement vehicles. The snow stopped the car, whereupon Finicum jumped out. Depending where Astarita was standing at the time, he could have well believed that his life or the lives of others were in danger – warranting efforts to stop the car. Yes, I know there were ‘innocent’ passengers in Finicum vehicle, but that doesn’t change the decision process. Let’s just say that Astarita, with all of his extensive training, was a little ‘trigger happy.’ I don’t happen to believe that, but let’s consider it for the sake of argument. And, in shooting, in some way, he had violated an FBI rule. Did he contribute to the ultimate death of Finicum? That’s really a stretch, but one could say that Astarita’s shots raised the tension among law enforcement personnel at the scene, which contributed to lethal action - when the OSP officer ultimately shot Finicum. I don’t buy this, but this concept will undoubtedly be trotted out in the civil suit. After shots were fired, Astarita picked up his spent cartridges, apparently doubting his personal judgment in firing at the car driven by Finicum - and then attempted to conceal the fact. This defies common sense – not the picking up of spent cartridges part – he may not have wanted to litter. (Yes, yes, stated with tongue in cheek.) But the part where he lied about it. Why would he do that? There are a couple of possible answers that come to mind. Members of HRT are allegedly trained to the point of perceived perfection. And, consequently I imagine they are inordinately sensitive about their image and reputations. Astarita might have fired accidentally, which might explain why one bullet missed Finicum’s car completely, and one bullet creased the roof of the car. If he, in the throes of understandable stress, accidentally pulled the trigger and/or missed the target he intended to hit, he might have been embarrassed enough to attempt to conceal the fact. The FBI's administration would have subsequently asked: Why did you fire your weapon? And, if justified as you say, why did you miss your target after we’ve spent all this time training you? Or perhaps: There was a Team Leader with the HRT, presumably not Astarita; and that said team leader told his men not to fire until he gave the word. Astarita jumped the gun (so to speak), and consequently felt he violated the Team Leader’s orders. On a HRT, not following directives, would be a bigger offense than an outsider might first think. Following orders is absolutely imperative to a high-speed organization like HRT. No free-lancing is allowed under most circumstances. Astarita’s big mistake, that will undoubtedly cost him his job, is that he lied. And, furthermore, continued to lie after being placed under ‘oath.’ The FBI has no place for personnel that lie under ‘oath.’ Said individual can no longer testify in court without their credibility being immediately challenged. If convicted should Astarita be sentenced to jail or prison time? I don’t think so. His lie compromised or injured no one other than himself – and he will probably regret his decision for the rest of his life. What remains unanswerable at this point is whether or not some of the other HRT members also lied to protect Astarita? I hope not. FBI Special Agent Joseph Astarita indicted on federal charges related to the killing of Robert “Lavoy” Finicum – Illegal Occupation of the Malheur National Wildlife Refuge. W. Joseph Astarita, a member of the FBI’s vaunted Hostage Rescue Team (HRT) has been indicted on multiple counts for ‘Making False Statements’ and ‘Obstruction of Justice,’ relevant to the killing of Robert “Lavoy” Finicum. The incident is beginning to fade from public memory, but occurred when Finicum attempted to evade a law enforcement roadblock. 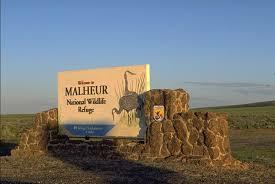 It’s been more than a year - the illegal occupation of the Malheur National Wildlife Refuge near Burns, Oregon. Finicum was shot and killed by an Oregon State Police Officer when he (Finicum) exited his vehicle and attempted to reach for a holstered gun – as was alleged and seemed to be convincingly portrayed on a video. Years back, when I was a young Agent, the FBI realized that they required a force of Agents better suited and trained to deal with particularly dangerous situations. I was one of the first Agents from my division to be selected for, what was called at the time, SWAT training. Gladiator Skills consisted of a large ring, maybe 25 feet in diameter, holding two teams of five each. The teams were required to sit back to back in the center of the ring. When the instructor gave the signal, the fight was on. The object was to continue fighting until one team had dragged or thrown every member of the opposing team out of the ring. There were no particular rules. However, for the most part, members on the opposing team were associates, even friends, so it was mostly wrestling and pushing. As one of the bigger guys on my assigned team, I was back to back with a former collegiate football player. So, my thought was that this is not going to go well, and would almost certainly be over rather quickly. And, actually it was. They blew the whistle and we all jumped up. I backed away weighing my next incredibly inadequate move on this guy. He came at me as if to tackle me or push me out of the ring. Hitting me in the stomach with his shoulder, I was able to momentarily lift him off his feet and turn. Surprisingly during this process, he stepped out of bounds; and an instructor called him “out.” The instructor laughed like he couldn’t believe what had just happened. It couldn’t have been more than five or ten seconds. I was selected for one of the SWAT teams and later sent to Quantico to endure two weeks of very difficult and demanding training – lots of running, obstacle courses, orienteering, shooting, as well as all manner of physical hell. I did excel at one test – swimming. I had been on the swimming team in high school and always loved to swim. It was only 100 meters (a fifty meter pool, once up and once back) – not a big deal – I first thought. There were four or five teams from around the country. All team members would start at the same time. To win this particular contest, and everything was a competition between the SWAT teams, the entire team had to finish. My team leader, who had been raised in Texas was a heck of a guy, but not a very good swimmer – an understatement. He told me he had done all of his swimming in a ‘horse trough’ – jokingly of course; but I could see he was shaking. The instructor yelled, “If any of you sissies feel like you might drown during the swim, you can wear a life jacket.” Sissy or not, my team leader decided to wear the life jacket, as did maybe six or seven others. There were a couple of additional little tweaks to the competition. We were required to put on a fatigue shirt and pants over our swim suits. Additionally we were required to swim the 100 meters with a shotgun attached to a strap around our necks. Surprisingly, if you kept your head down in the water, breathing with every other stroke, the shotgun didn’t seem like that big of a deal. The fatigues were another matter. Nonetheless, I managed to finish first. I was then able to take off the shotgun and fatigues and dive back in the pool to assist my team leader who, at that point, reminded me of a wounded duck, thrashing away, and making little progress. I got a hold of him and pulled while he kicked. Dragging his exhausted body out of the pool, one of the instructors said, “Way to go big fella.” It made my day. The training mission, throughout the two weeks, was to act as a team; that together the team would be stronger than the sum of any five individuals. Team effort and spirit were often praised. If you passed and most did, you went back to your division to continue your training; and to be utilized in the more dangerous assignments. The point here is that, if SWAT training in my era was the equivalent of grade school or junior high, the modern HRT members are college graduates.